Home / Blog / The President of CNN Needs Media Training. What about you? The President of CNN Needs Media Training. What about you? When I conduct media training sessions, there are a few stories I tend to tell to illustrate points. One is about the executive who, about five minutes into a session, was interrupted by his assistant about a phone call from headquarters. While the session lasted several hours, he chose not to return. Another is about the executive who was so uncomfortable being interviewed, he needed talking points about his own biography. And then there’s the executive who just couldn’t avoid saying a word considered taboo in his industry and, despite an eloquent answer otherwise, ended up in a newspaper pull quote using that word. It turns out, all of those anecdotes are about the same executive I worked with many years ago. Recently, I caught a press conference that executive led in his current role. I was impressed. Like with almost anything in business, you get better as an interviewee through more experience. The “reps” make a difference. Over the years, he has obviously overcome his aversion to training, one way or another. He seemed comfortable, confident and on-message. Chances are you don’t have media training in your budget for the upcoming year. It has increasingly been considered a luxury item. Part of that has been price gouging by big firms (we have seen what New York and L.A.-based firms charge – it’s outrageous). But even with far fewer opportunities for interviews, the best way to make sure even limited chances are the best they can be for your company’s reputation and business objectives, it takes preparation, practice, focus and perspective. That is worth a reasonable fee. Media training should also help executives break bad, distracting habits. It’s tougher to get “reps” now, with fewer journalists and “news holes.” Those “reps” can come through training. Often, the media opportunities come through podcasts, where, because of their conversational and largely unedited nature, all oratory warts are on display. 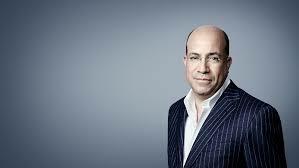 Case in point is the recent podcast interview of CNN’s President, Jeff Zucker. He was a guest of one of his own employees, journalist turned political consultant turned commentator David Axelrod, host of the credible and compelling “The Axe Files.” If you can wade through his answers, you will find that Zucker was candid and insightful. But started virtually every answer to every question by using a crutch. Answering with either “LISTEN” or “LOOK” (or even both) made him sound condescending and even dismissive. Those of us experienced in these things know that those words are used by speakers for their brains to buy them a fraction of a second to come up with words to answer the question. It’s a habit that detracts from a speaker’s message, but can be broken through customized training. As you think about communications priorities for where you work, think about this: The President of CNN, of all executives, needs media training.